So how do we choose a good motor oil? To choose a good motor oil there are a number of things you need to be familiar with, these are viscosity, additives and oil ratings and classification codes. If you care about your car and want it to be reliable and dependent, you need to make sure it is treated properly. This means giving your car regular services when needed and also providing it with regular health checks and oil changes. Engine oil to a car is like food to a human being, in the same way we want to provide our bodies with the right foods and nutrients we need to provide our cars with the best quality motor oil to ensure it runs optimally and requires less maintenance. These are added to the engine oil to help keep your engine, cool, clean and corrosion free. Additives can account for up to 25% of the cost of the oil. The less additives the more natural the product. The viscosity rating of oil determines how thick it is and its ability to flow freely around your engine. The lower the viscosity, the thinner the oil and the easier it will flow around your engine. Oil with a rating of 10W/40 for example means that this is a multi-viscosity oil. 10W means it has a viscosity of 10 during the winter (W) and 40 during the summer, 5W/30 would mean the oil would be thinner. The manual that came with your car will specify what viscosity you should use. The starburst symbol on an oil container label means that the oil meets the current engine protection standard and fuel economy requirements of the International Lubricant Standardization and Approval Committee (ILSAC), a joint effort of U.S. and Japanese automobile manufacturers. If your car is quite new then a low viscosity oil will be perfect for your vehicle but as your car ages multi weight oil isn’t always thick enough to lubricate your engine. The reason for this is that as the engine parts get worn down the gaps between each part become wider. The engine therefore needs thicker oil to fill these gaps. In this case you need to switch your oil to a thicker single viscosity oil. If you have been running on 30W then switch to 40W. 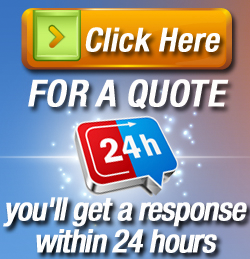 There are many manufacturers of motor oil, whether fully synthetic, semi-synthetic or regular. The difference being, that synthetic is a completely man made product, whereas regular is completely natural oil, semi-synthetic is a hybrid of both. Synthetic oils are usually much more expensive than regular oils but perform much better than regular oils. Synthetic oils have also been reported to require changing much less frequently than regular oils. So which brand to choose? Well this is a matter of personal preference, although it is advisable not to choose a budget brand. 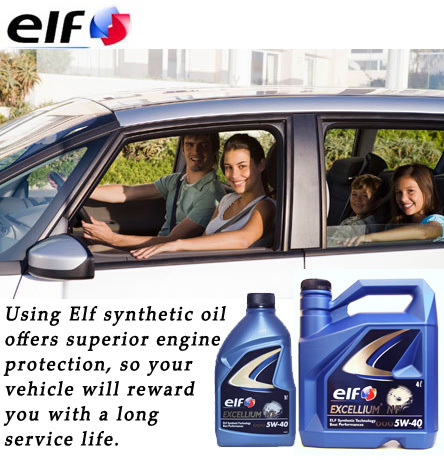 Elf motor oil is one of the best brands to choose offering a variety of viscosity’s in regular, synthetic and semi-synthetic variants. Elf oil can be purchased in 5 litre containers for complete oil changes and they also supply their oil in convenient 1 litre and 2 litre sized bottles for storing in your car boot for regular top ups.